Kona do quite the range of adventure and touring bikes – so far we’ve covered the Sutra, Sutra LTD and Roadhouse. Those bikes will cover your light touring duties, perhaps a round-the-world trip, and most touring in between. But what if you wanted to get really rugged? This is where the 2016 Kona Big Rove starts to shine. 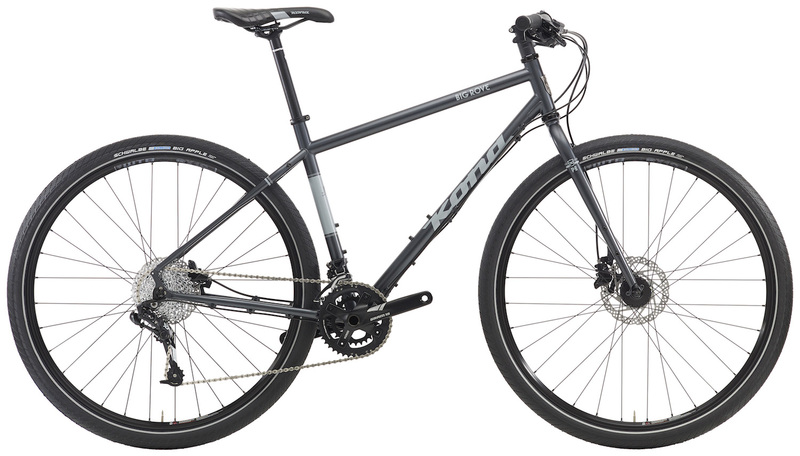 The 2016 Kona Big Rove is an off-road adventure touring bike, and it will take you right off the beaten path. The Pamirs? Sure. Across a desert? Sure. Not only will it help you ride on rough surfaces, but won’t slow you down too much either (like a fat bike). 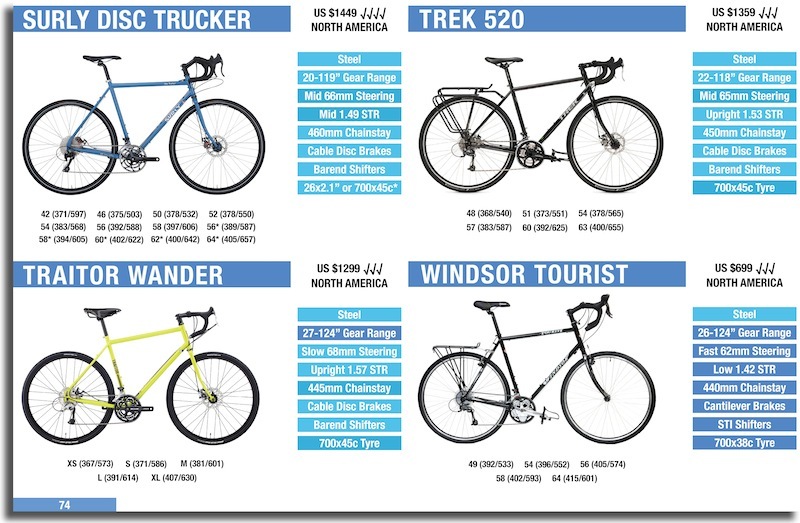 Here’s a list of every adventure off-road touring bike available. 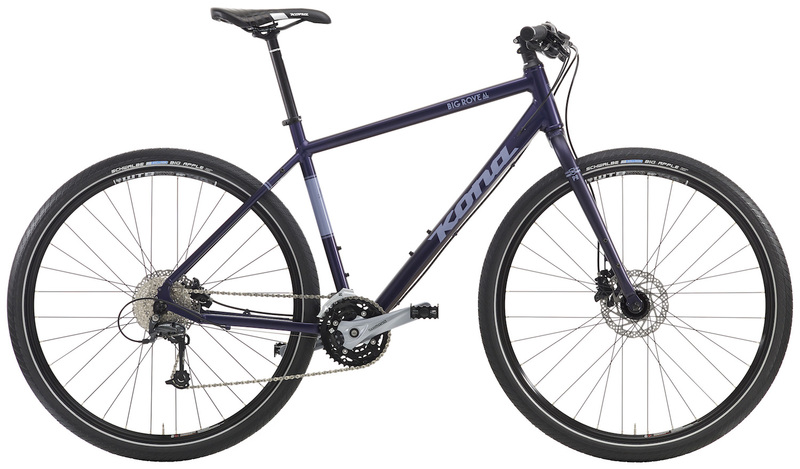 The geometry of the 2016 Kona Big Rove frame is almost the same as the Sutra. 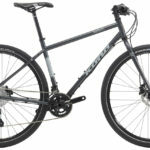 It has a high-trail front end which provides stability with a heavy load, it has long chainstays and a tall front end. The main point of difference is the higher bottom bracket which affords more pedal clearance off-road. The longer top tube is optimised for flat handlebars too. Adventure touring bikes come with mountain bike parts – 29er wheels, wide range cassettes, small chainrings, wide tyres and hydraulic disc brakes. All of these features help with off-road terrain to take you up and down the steepest hills. Both Big Rove models have provision for front and rear racks as well as fenders. With the Big Rove, you get to choose between steel and aluminium frames. Head over here to read about my thoughts on frame materials for touring. The Big Rove steel is the flagship model in the range, and will likely be favoured for its more traditional frame material. It has a SRAM X5/X7 10-speed drivetrain with a small gear of 21 gear inches, but still has a decent upper gear with the 42t big ring. It comes with 29×2.00 Schwalbe Big Apple tyres which are fast on asphalt, but also offer lots of support on the dirt. You can get the Big Rove ST for US $1199. Apart from using aluminium as the frame and fork material, the Big Rove AL has a lower quality drivetrain across the board. It employs Shimano Alivio/Deore 9-speed parts which may not snap into place as nicely as the SRAM, but what you will get is a triple MTB crankset with a really low gear of 18 gear inches. Like the ST, you get wide 29×2.00 tyres which will see you flying along on any terrain. The Big Rove AL is available for US $899.